You can add whatever text you wish to the bottom, so it doesn't just have to be for Christmas, the decoration will become a family treasure to be displayed year after year. 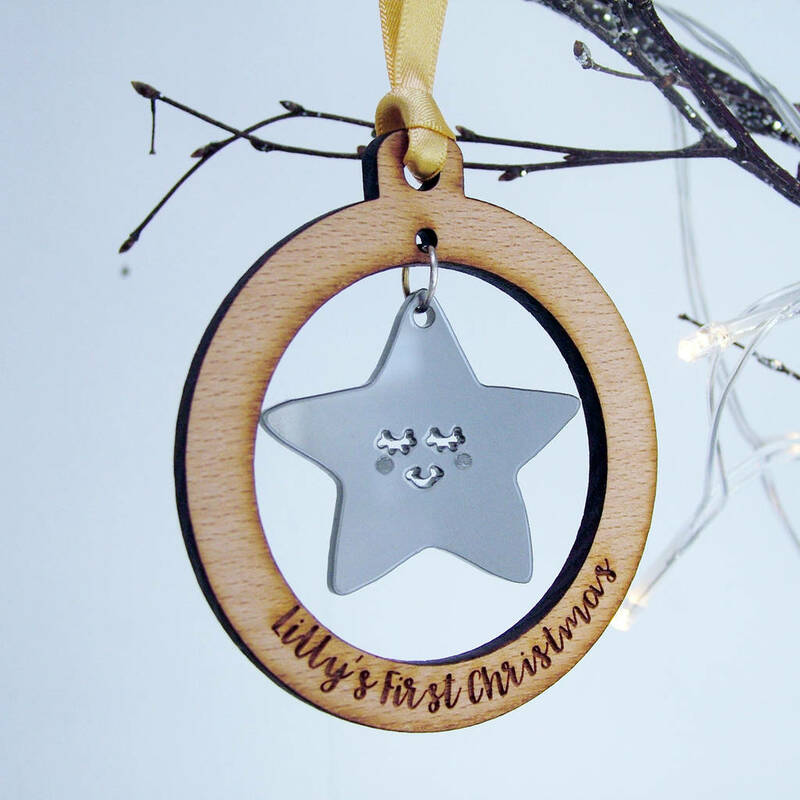 This decoration would also make a lovely gift for new parents. 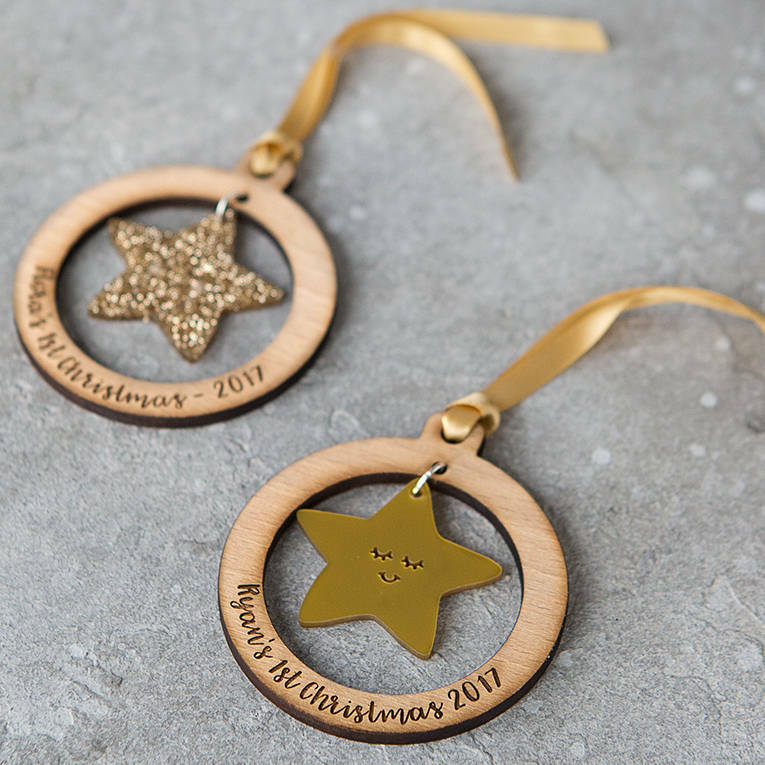 This personalised Baby's First Christmas decoration will arrive in a beautiful sliding Kraft paper gift box, perfect for gifting. 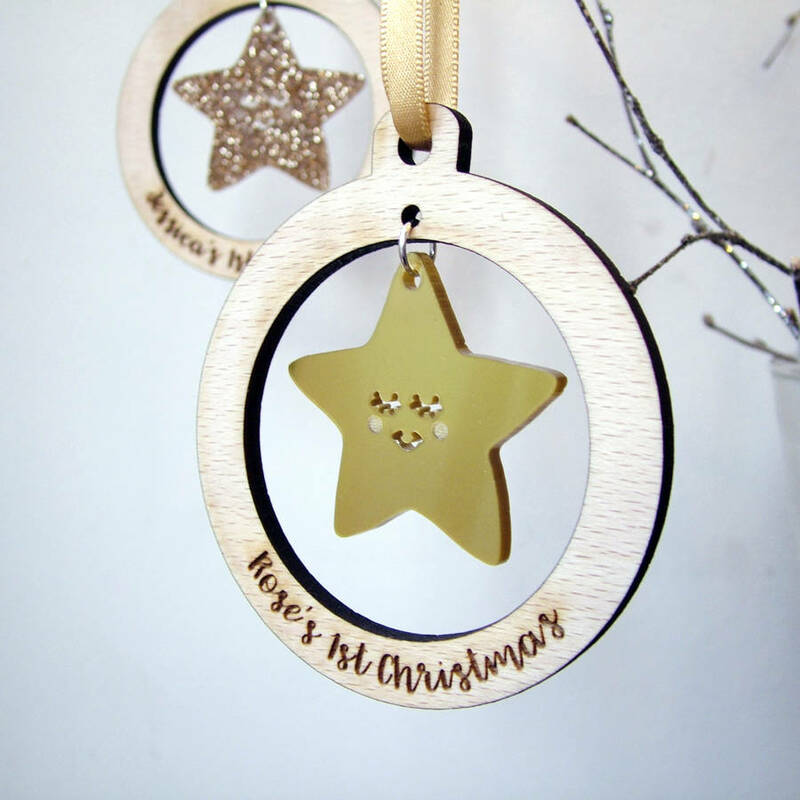 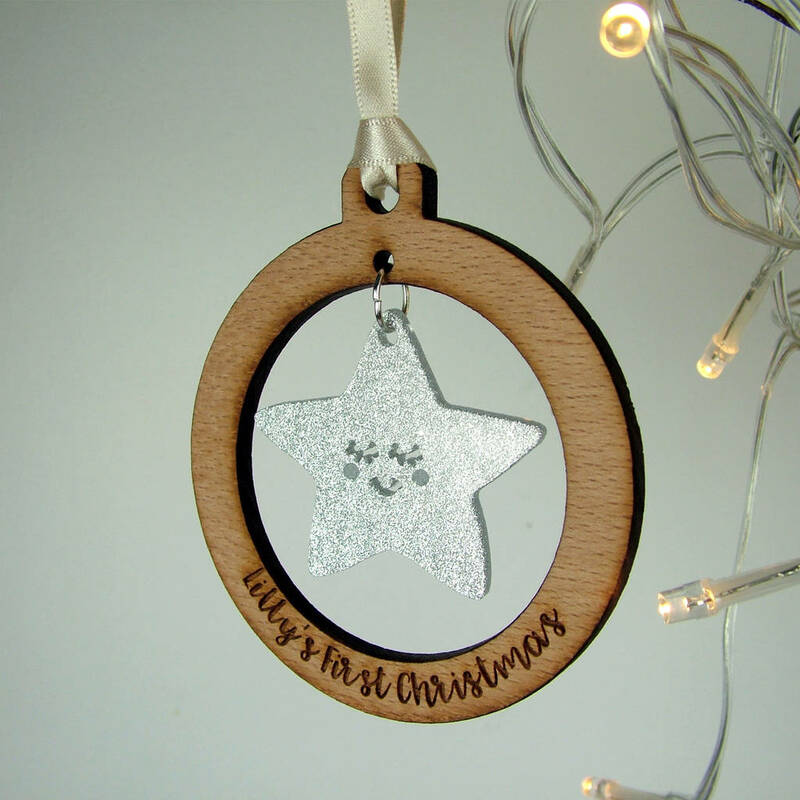 You can choose from a gold, gold glitter or silver star, you can have whatever wording you wish on the bauble so it could be used for other occasions, or you could have your children's names instead. 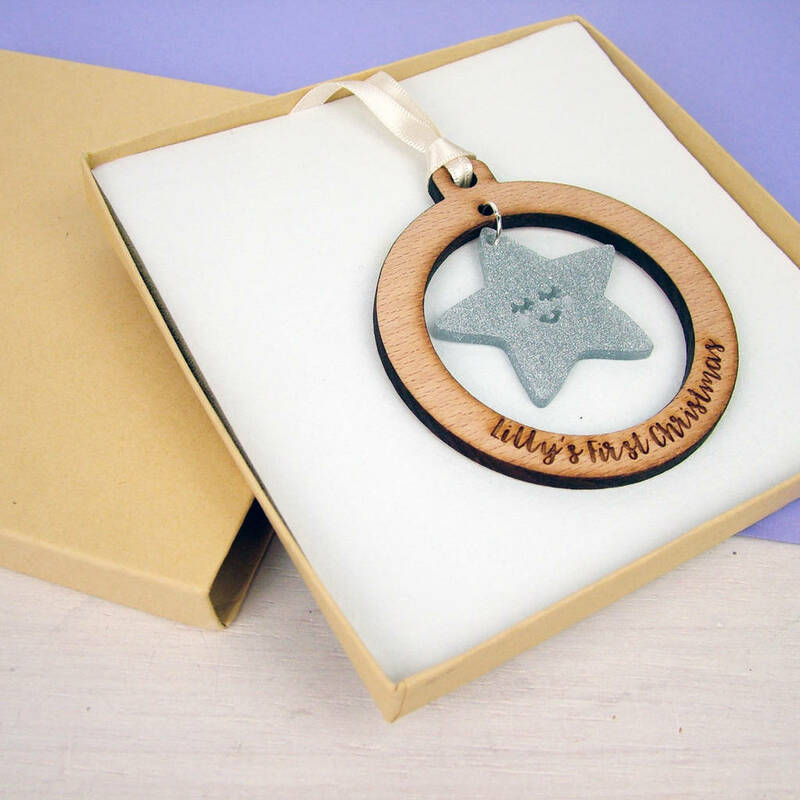 Your decoration will be supplied in a sliding gift kraft gift box to ensure safe keeping over the years and also making it the perfect gift.